Mike Brooks is the individual behind one of the earliest examples of web-based climbing media. 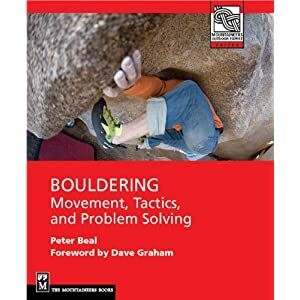 FRB has always been about original content making it an important source for information both about bouldering and about climbers. Among the many features of the site are his interviews with local climbers which form an important part of preserving the history of climbing on the Front Range. The message board of course has been the scene of much silliness and slander. Go to frontrangebouldering.com for more. 1. Hi Mike, How long has FRB been up and running? 2. What was the initial idea and how did you get started? of a website and message board. 3. What's the thing that you most want to improve about the site? improve the skills of interviewing, podcasting and networking. 4. What do you think of the explosion of new Internet-based climbing media? I could see the writing on the wall about 6 years ago. I'm surprised it took so many people so long to realize they can create their own world and presence online. 5. What does the future hold for FRB? to strengthen ourselves against encroachment. I also wanted to add this excellent post about Fred Nicole from Chuck Fryberger.